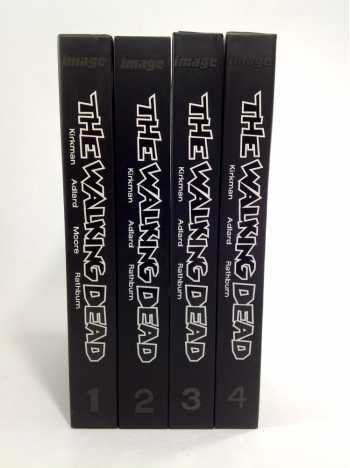 Collects The Walking Dead #1-96. 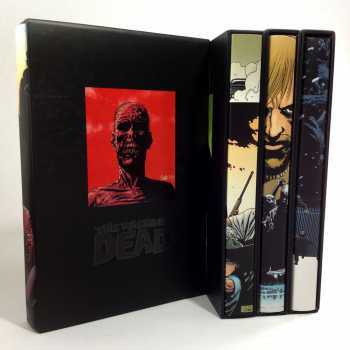 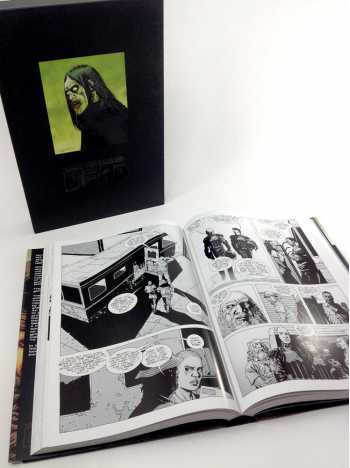 Each of these deluxe hardcovers features 24 issues of the hit series, The Walking Dead, along with the covers for the issues all in one massive, oversized slipcased volume. 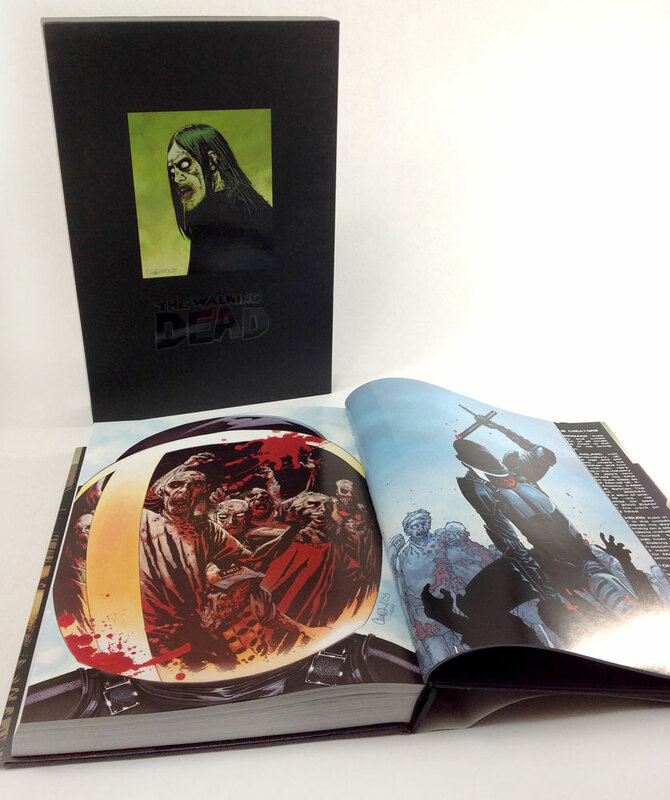 Perfect for long-time fans, new readers, and anyone needing a heavy object with which to fend off the walking dead! Vol. 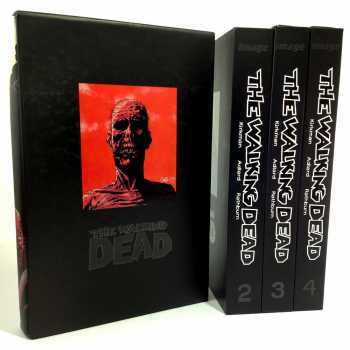 1 slipcase has moderate scuffing; Vol. 2 slipcase very light bump to front lower left corner; Vol. 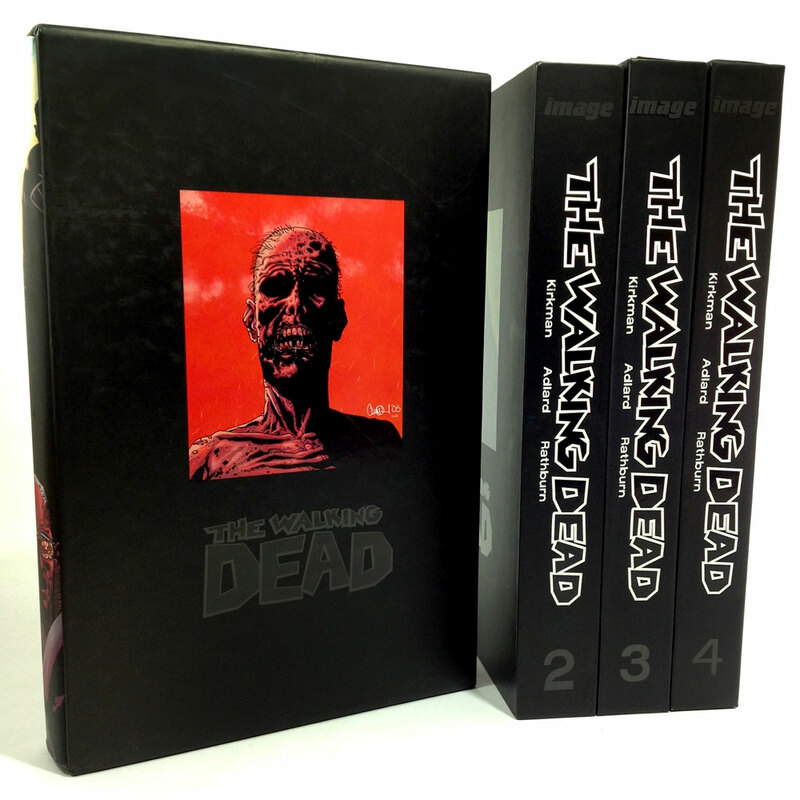 3 slipcase bump to front lower right corner; Vol. 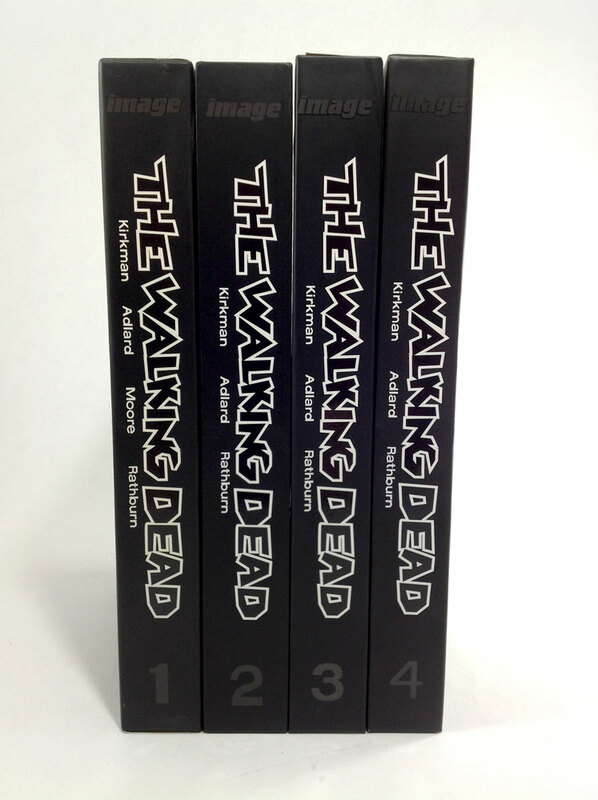 4 very light shelf wear.